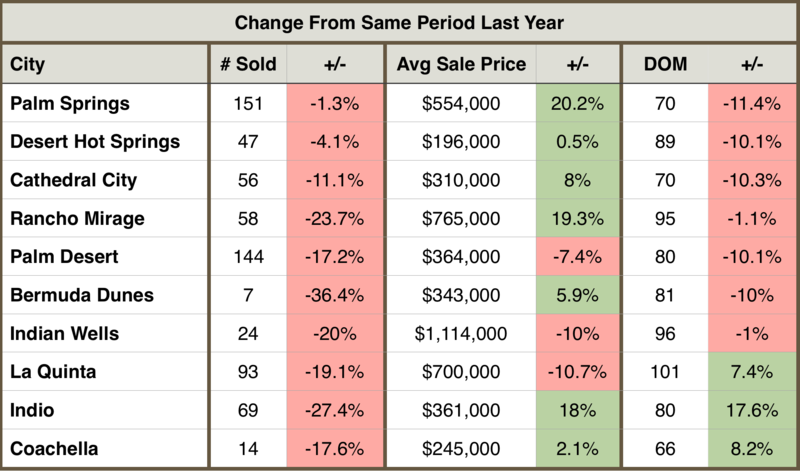 For the fourth month in a row, the number of homes sold was down across all price bands and in all cities in the Palm Springs area, while inventory woes have eased a bit. There are still fewer homes on the market priced in the upper and lower price bands, but we saw a slight increase in inventory for homes priced between $500-$999,999 over the same month last year. It’s still a good market for our sellers, and good homes that are properly priced continue to sell quickly, with Days on Market down (-3.5%) to 82 days. Interest rates remain stable and have stayed below 5%, which is helping the market. 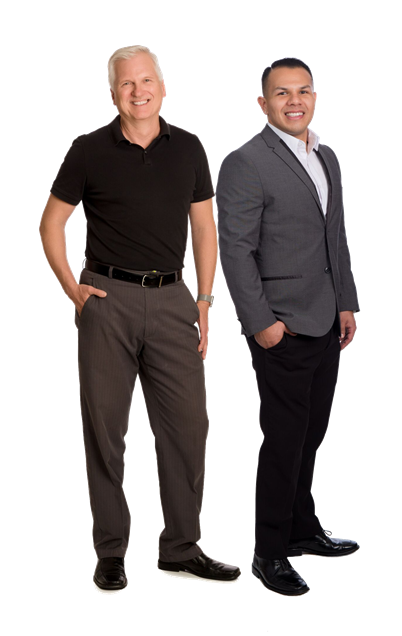 You can get a 30-year fixed rate mortgage at 4.5% and the FHA 30-year fixed rate is 4.0%. If you’re financing a larger amount, the Jumbo 30-year fixed rates are 4.25% and adjustable Jumbo loans can be had for as low as 3.625%. Trendvision’s® most recent year-over-year, February 2019 vs. February 2018 Report shows fewer homes sold in all price bands, with the biggest drop in the under $500,000 price band, a (-17.5%) drop in number of homes sold. Home sales in the $500,000-$999,999 price point dropped again this month, with (-10.6%) fewer homes selling, while the $1M+ price band saw sales fall off by (-8.2%). Average selling prices rose for homes priced under $1M, while sale prices dropped (-7.1%) for homes priced $1M. Average Home Sold Prices rose overall in the Palm Springs area by (+2.7%) over the same month last year. The biggest gains were for homes priced under $1M, with sale prices of homes priced $1M+ falling (-7.1%). Number of Days on Market dropped (-3.5%) compared to February of last year, with the biggest change in the $1M+ price range where Days on Market dropped (-15.5%) over last year. Homes in the other price bands were selling quicker than a year ago as well, with Days on Market down (-2.1%) for homes priced $500,000-$999,999 and down (-2.5%) for homes priced under $500,000. The Number of Homes for Sale. We continue to see the typical seasonal increase in new listings and our inventory is now very close to what is normal for this time of year, with inventory down slightly (-1.3%) over February of last year. Current trends have us in a seller’s market in most areas, with homes selling quickly and desirable homes priced right receiving multiple offers. Continuing our trend over the last four months, the Number of Homes Sold in February 2019 vs. February 2018 was down across the Palm Springs area. The biggest percentage drop in sales were found in Bermuda Dunes down (-36.4%), Indio down (-27.4%) and Ranch Mirage down (-23.7%). 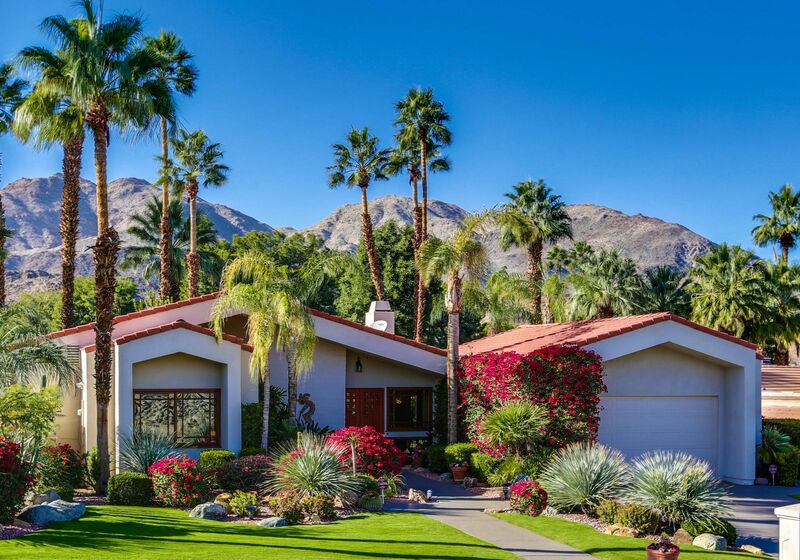 Sales remained essential flat in Palm Springs, down (-1.3%), and Palm Springs also showed the greatest price appreciation. The Number of Days on Market was down in about half of our cities, with homes selling fastest this month in … Cathedral City (-22.4%), Palm Springs (-18.7%), and Palm Desert (-18.3%).